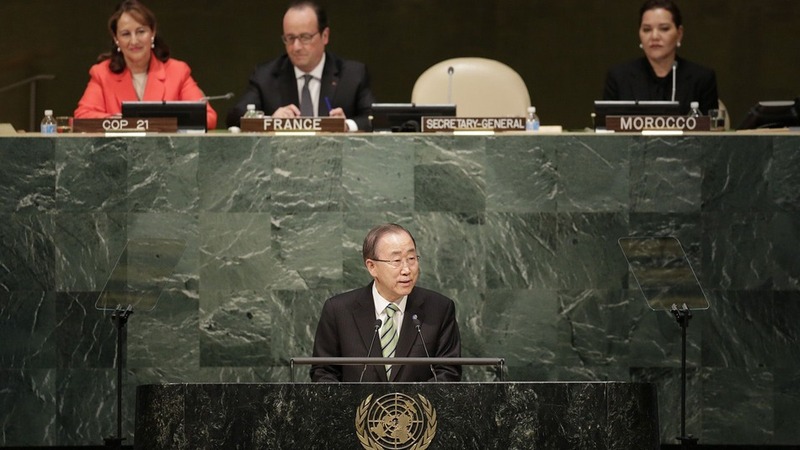 170 nations have signed a historic climate change deal today after years of talks. The Paris Agreement was signed at the United Nations headquarters on Friday, coinciding with Earth day. The Paris agreement was negotiated in December and will see nations commit to a transition to cleaner energy sources. Perhaps the deal’s biggest achievement was getting some of the world’s biggest greenhouse gas emitters such as China to agree to the deal. However, the Paris Agreement will not become binding until 55 members of the world’s largest 55% of emitters join the deal. The US and Canada have not joined the agreement but promised that they would sign it next year.